The Ministers of Citizen-ship and Public Security have been advised to become acquainted with the country’s international obligations regarding migrants, and to move swiftly in their attendance to the matter involving the Haitians in police custody. “What the Ministry of Foreign Affairs has been concerned about… is that we need to move expeditiously to decide one way or another whether there is actually evidence [of human trafficking] and to try and ensure that children and women who may be in that group in particular are not put in any unacceptable circumstances in terms of conditions whilst the police try to sort this matter out. That is the situation as of now. 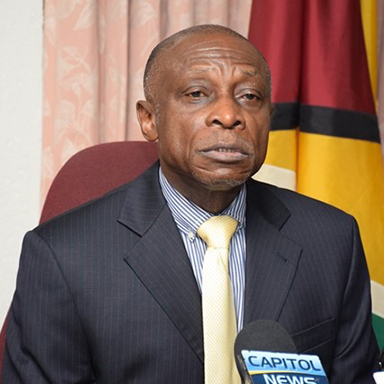 The need to be expeditious has been drawn to the attention of the police,” Minister of Foreign Affairs Carl Greenidge related to media personnel on Friday. Greenidge stated that the matter of the detained Haitian immigrants has drawn the attention of the ministry, noting that the incident was more than a police matter, and nothing to do with citizenship, but one regarding the social rights of the migrants. “…The tendency, traditionally, to treat this like this is immigration or this is police clearly is not acceptable. It’s outdated. It’s not relevant to the circumstances and has to be more carefully examined…,” Greenidge said, alluding to non-offenders being dealt the same treatment as criminals. The minister opined that if there is the need for an update in the regulations and legislation to facilitate the change in migration flows to Guyana, then that should be done. “I called the Minster of Citizenship myself the day before yesterday to ensure that he would make arrangements to meet them, and I emphasized then to him that he and his colleague, and my colleague, Vice President [Khemraj] Ramjattan acquaint themselves [with] all our obligations as regards treating migrants. It is a concern to us, the holding of migrants, whether they be from Haiti, Venezuela, or anywhere else,” Greenidge stated. The police have been investigating the circumstances surrounding the migration of more than 30 Haitians to Guyana last month under suspicions of human trafficking although this has not been confirmed. Nevertheless, 15 of those migrants left last week on return flights to Haiti. Crime Chief Wendell Blanhum related on Tuesday that the force was investigating the “chief players” involved in the matter, including persons who would have organized for the group’s transport, accommodations, and assisted with translating. Those persons were detained and questioned, and subsequently placed on bail, as investigations continue. On Thursday, a group of social activists, along with members of the Guyana Bar Association met with Minister of Citizenship Winston Felix to discuss the release of the seven adults and eight children remaining from police custody. 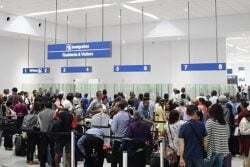 It was reported by blogger Mark Jacobs, who led the group, that members of the business community had volunteered to sponsor the individuals to stay in the country, providing work and accommodations. The group planned to apply for work permits for the individuals as a means of gaining them residency, and therefore, guaranteeing their release from custody.